It was the day that changed the course of a war, and a century. Meticulously planned, brilliantly executed, the landings of 6 June 1944 saw 150,000 men landed behind enemy lines in twenty four hours, heralding the beginning of the end of World War 11. In a unique and original approach to D-Day, the author describes the crucial and suspenseful days leading up to the invasion from the perspectives of ordinary people whose courage made it all possible, as well as of those who commanded it. Written with the pace of a thriller, it moves from country to country, from character to character; an English Wren working on codes and ciphers; a French resistance worker listening in to coded messages on the BBC; a Norwegian freedom fighter enduring a Gestapo cell; an American paratrooper who will parachute in to help secure the invasion bridgehead; a German soldier in France writing confidently home about his future; a Canadian soldier due to land in the first assault wave; a Jew hiding in a Paris garret; and a deception agent feeding false information to the German about the time and place of the invasion. Based on contemporary letters and diaries, Ten Days to D-Day is a vivid account of individual men and women on the brink of an epic moment in history. "Meticulously reconstructed and carefully interwoven..... it is a double triumph of gripping and sensitive celebration." 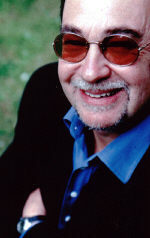 "Stafford is quite superb at the human story... This is a gripping read." "A gripping account that crackles like a thriller. Take a trip with a masterful storyteller to a fateful time. Feel the tension as you live the Ten Days to D-Day." "David Stafford's Ten Days to D-Day is an original, absorbing and ultimately moving account of the hours leading up to what Winston Churchill called 'the most complicated operation ever', the bold strike that liberated a continent and shaped the way we live now." 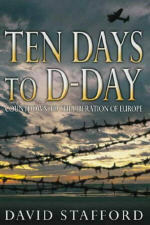 "To state that Ten Days to D-Day is different...is insufficient. David Stafford's very valuable reconstruction of what immediately preceded the invasion of Nomandy...is a considerable achievement." "This is a powerful book; readable, exciting, and often moving." "An excellent book...thoroughly well written (and) difficult to put down."